Sometimes the biggest hearts in the smallest bodies; join our childcare projects to see for yourself! Come support one of our Neighbourhood Care Points and show our kids how to learn and have fun! Get outside and get active with our energetic crew of kids! Get into the classroom and assist as a teacher! 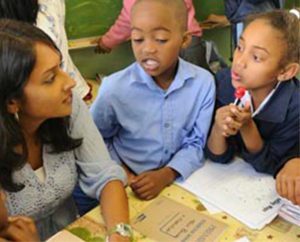 Venture into the townships of Cape Town and be a mentor to kids in need. Holiday with a purpose! 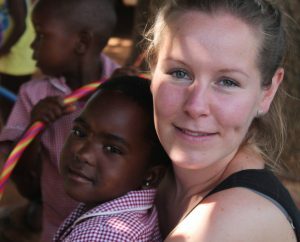 Join one of our Childcare Projects situated in Swaziland, Mozambique and South Africa. Volunteer to help care for underprivileged children in Cape Town, South Africa. Emerging from its apartheid history South Africa’s townships are experiencing the effects of high unemployment, HIV/AIDS, poverty and substance abuse. Many children are vulnerable and are being disadvantaged by not being able to access education. 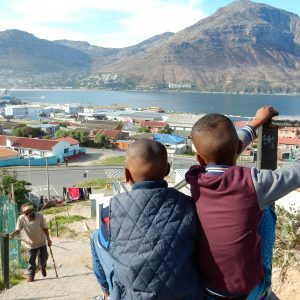 Learn to speak English through an intense emersion course and use your new language skills to volunteer to help care for underprivileged children in Cape Town, South Africa. Emerging from its apartheid history South Africa’s townships are experiencing the effects of high unemployment, HIV/AIDS, poverty and substance abuse. Many children are vulnerable and are being disadvantaged by not being able to access education. The Education Project aims to assist children at primary school level with support in a variety of ways including getting students to read and offering one-on-one support to children who are performing below the 20% pass rate. You also will be working in the afterschool project that continues to support educational activities including reading and homework, as well as teaching life skills and activities to improve self-confidence. 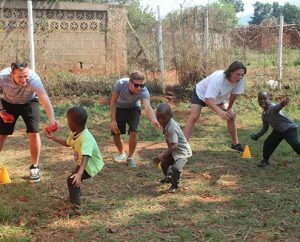 You don’t need to have prior experience to volunteer on this project; all you need is to be motivated and sensitive and we will help you settle into a role that will be beneficial to the children you work with, while gaining valuable skills yourself. The Childcare Project gives you the opportunity to assist these vulnerable children working with our local staff and community volunteers in a number of different ways; by assisting with pre-school education and facilitating the All Out Africa syllabus of activities, providing meals, helping to guide the children, while giving them care and adult support. 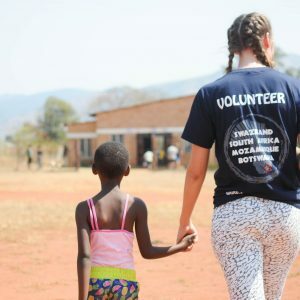 Volunteer to teach in Eswatini. Help teach children in schools where one of Africa’s highest HIV/ AIDS and unemployment rates threaten the future prospects for children. 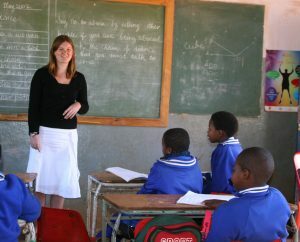 As a volunteer, you would assist local teachers with classes including English, maths, science, geography and more.